Without Destiny’s Child, there would be no Beyoncé. Well, maybe, but it sure would have been a different journey. 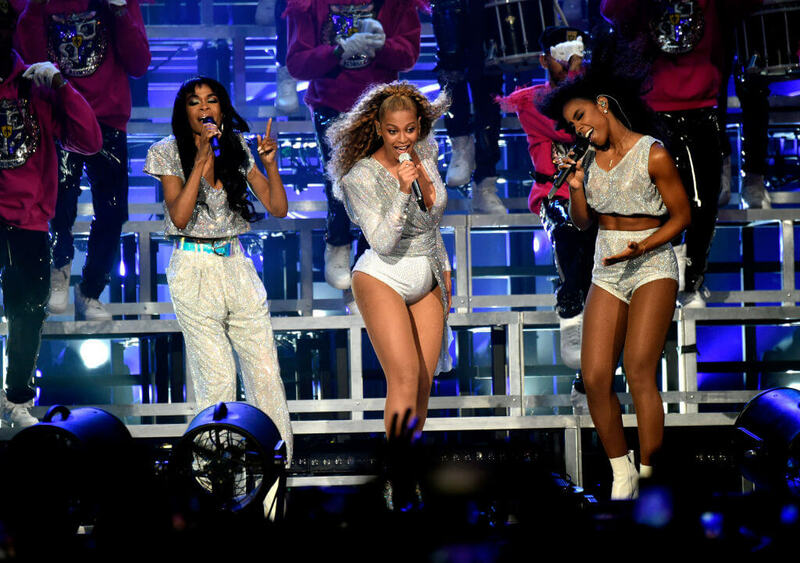 Dubbed as “the queens of R&B,” Destiny’s Child continues to be one of the biggest girl groups in music history even ten years after their last show. Comprised of Beyoncé Knowles, Kelly Rowland, and Michelle Williams, the ladies of Destiny’s Child are not only known for their coordinated ensembles and effortless harmonies but especially for representing the image of strong, independent women everywhere. Their hits mirrored the voice of a generation and continue to do so for years to come. This is the story of Destiny’s Child. Beyoncé and Kelly knew early on that they wanted to have a music career, so they got their start right away. In the early ’90s, they teamed up with four other girls, including LeToya Luckett and LaTavia Roberson. Calling themselves Girls Tyme, they promoted themselves as spitters rather than singers and even landed a spot on Star Search. But record execs weren’t buying it so they broke away from the whole rap game and started the R&B ensemble we all know as Destiny’s Child. While “No, No, No” featuring Wyclef Jean may have topped the Billboard R&B singles chart while peaking at No. 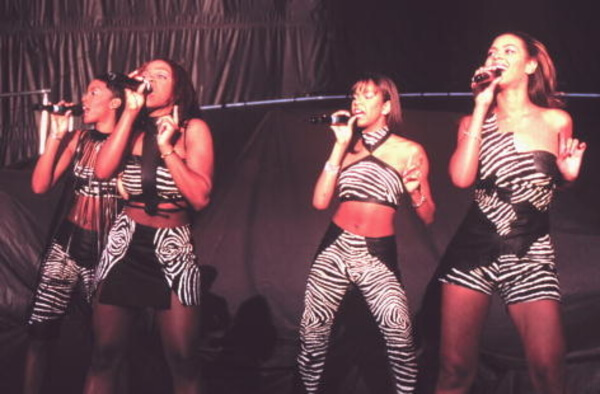 3 on the Hot 100, the group’s self-titled debut album only reached No. 67 on the Billboard 200. The album did indeed go platinum, putting Destiny’s Child on the map and on the path to superstardom, but according to some industry insiders, the album’s chart numbers just weren’t impressive for a debut, especially from these ladies. But we’ve all learned that all great things may take a while to fully catch on. The ladies have teamed up with many brands during their time, but McDonald’s was by far their most interesting partnership. In conjunction with their 2005 world tour, the fast-food chain had the ladies adding the signature “Lovin’ it” tag to their tour name. The chain also had the group do a number of TV spots to promote its various menus around the globe, making it quite impossible to not hum along to their catchy slogan. Imagine what McDonald’s would have to pay Beyoncé today for an endorsement! When Destiny’s Child performed at the GRAMMY Awards for the first time in 2001, they were all pretty nervous. While all three girls have done solo acting work (Beyoncé in Cadillac Records, Dreamgirls, Obsessed, Kelly in Girlfriends, Think Like a Man, and Michelle in Chicago, The Color Purple, Fela!) they have never actually acted alongside each other in any roles. Aside from appearing in commercials or doing television interviews, unfortunately, they have never combined their acting talents onscreen. But never say never as anything is possible in the entertainment industry! After teaming up with Rodney Jerkins in 2000 for their hit “Say My Name,” the girls knew they needed to get him on their next hit. Turns out, they also got a bit of assistance from Jay-Z as well. At the start of Destiny’s Child’s rise to superstardom, the group teamed up with Beyoncé’s younger sister Solange on a duet for Disney Channel’s animated comedy, The Proud Family, and it’s totally worth YouTubing! With Bey’s little sister on lead vocals, the ladies recorded the theme song in 2001 and fans are dying to know if and when they will ever hear Beyoncé do backup vocals for her sister again. Only time will tell. The track became the group’s first No. 1 hit and earned them two GRAMMY nominations. Kandi also has written for TLC (“No Scrubs”), Pink (“There You Go”), NSYNC (“It Makes Me Ill”), Usher, Mariah Carey, and more. Their Hit “Survivor” Was Inspired By A Joke. While the group’s hit “Survivor” is clearly an anthem for female empowerment that spans the decades, the song was actually inspired by a “survival of the fittest” joke made by a radio DJ about the group. “I thought about this joke that this radio station had, and they were saying, ‘Oh, Destiny’s Child is like Survivor, trying to see which member is going to last the longest on the island,’ and everyone laughed. I was like, ‘Ah, that’s cute, but you know what? I’m going to use that negative thing and turn it into a positive thing and try to write a great song out of it,” Beyoncé shared. Hollywood and Vine’s Hollywood Walk Of Fame features some of entertainment’s greatest like Aretha Franklin, Tina Turner, Diana Ross, and most recently, NSYNC, and it’s also home to a Destiny’s Child star as well. Although they may not have had as many years in the music business as a group, Destiny’s Child was honored with the 2,035th star in 2006, ironically the year the group separated and took an indefinite hiatus to focus on solo projects. However, having a star on The Hollywood Walk Of Fame is still an honor these ladies will truly never forget. Kelly Rowland’s upbringing may have been harsh – her mom Doris, left her verbally abusive husband – but ultimately, there was a happy ending for the family. Kelly moved in with family friends Tina and Mathew Knowles in Houston, Texas and grew up alongside the Knowles’. There were even rumors flying around that Mathew Knowles was her real dad. Doris passed away in 2014, not long after Kelly welcomed her son, Titan, into the world. Destiny’s Child’s smash hit “Say My Name” may have earned the group their first GRAMMY award, and justifiably so! The relatable track so many can identify with also happens to be very personal for Bey, and touches on a rather painful subject. “Say My Name” is said to be about Bey’s childhood sweetheart, Lyndall Locke. Bey and Lyndall dated from their preteens to early twenties, and unsurprisingly as any father would be, Mathew Knowles was super strict about his daughter dating. The two remained together until Locke cheated on her. Rumor has it a suspicious Bey demanded that he say her name out loud when they spoke on the phone to prove that he wasn’t cheating! When Destiny’s Child was known as Girls Tyme, Mathew Knowles worked hard to promote them. In 1995, he left his job selling medical equipment for Xerox to manage the group full-time. But issues were on the horizon. Like anything worth pursuing, the new venture may have failed to achieve immediate success, which placed financial pressure on the Knowles family. Luckily, Tina Knowles came to the rescue, aiding as the family’s main income from her hair salon business. 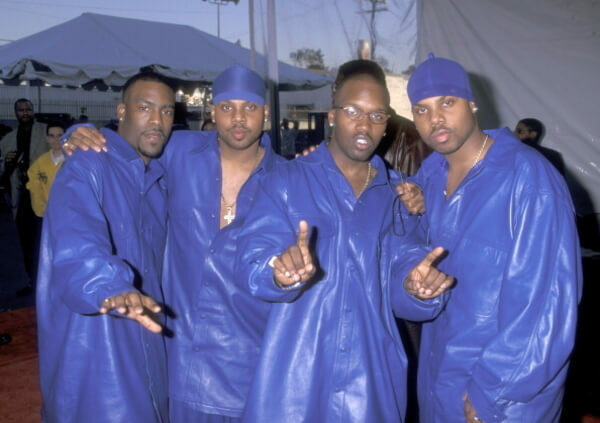 Jagged Edge was a ’90s R&B group that was touring with Destiny’s Child. They may have had a few great hits in their time, but they’ve also been rumored to be responsible for getting LaTavia and LeToya kicked out of Destiny’s Child. In the late ’90s, twins Brandon and Brian Casey of Jagged Edge dated LaToya and LaTavia. On an episode of Unsung about Jagged Edge, fans discovered that Mathew Knowles wasn’t happy that the girls were hanging with these two. Turns out, when LeToya’s mother got kicked off a tour bus, the Caseys stood up for her. Soon after, LeToya and LaTavia discovered they were kicked out of the group! Like any group departure, there’s always that gaping hole situation. 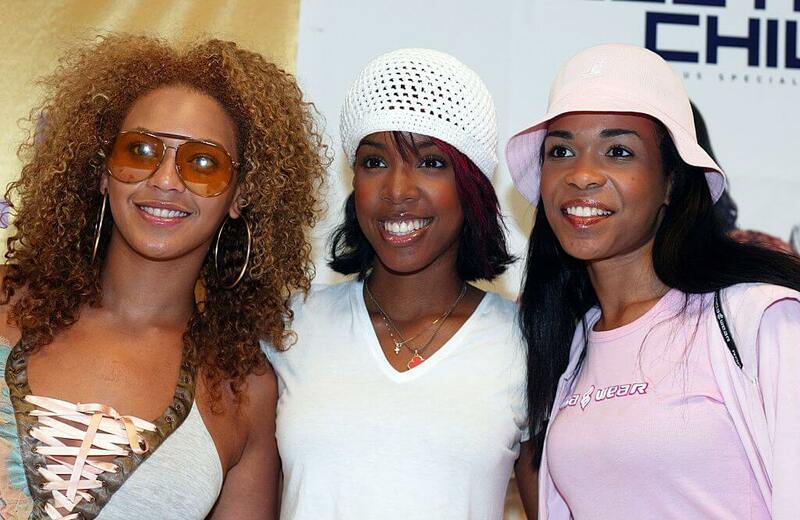 Unfortunately for Destiny’s Child, they had two gaping holes to think about after the exit of LeToya and LaTavia. Of course, the first candidate for consideration was Beyoncé’s younger sister, Solange. Back when LeToya and LaTavia were still in the group, Solange stepped in as a replacement and once Farrah Franklin left the group, leaving just Michelle, Kelly, and Beyoncé, Mathew Knowles contemplated adding Solange but decided to keep the group as a trio. The new foursome, Bey, Kelly, Michelle, and Farrah, all appear in the video yet the track still featured LeToya and LaTavia’s vocals from the album version of the song. Ouch! LeToya herself even said this still stung 20 years later, and that she struggled with depression long after leaving the group. We bet designers are kicking themselves over this one! 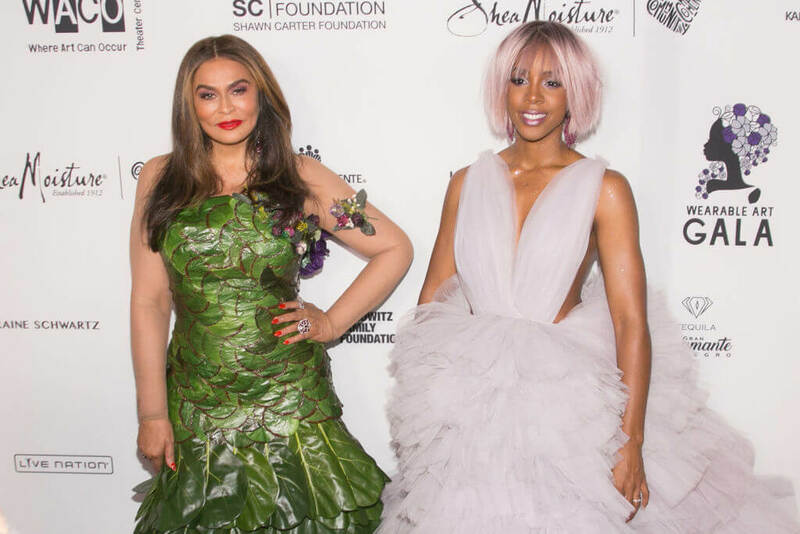 Turns out, no one wanted to style Destiny’s Child, so naturally, Tina Knowles came to the rescue…and damn, did she deliver! The daughter of a seamstress, Tina designed many of Destiny’s Child’s most fashionable looks during the group’s reign. “High-end labels didn’t really want to dress four black curvy girls, and we couldn’t afford designer dresses and couture. My mother was rejected from every showroom in New York. But like my grandmother, she used her talent and her creativity to give her children their dreams,” shared Beyoncé. Being the last new member of the ever-changing lineup of Destiny’s Child, Michelle Williams rose to fame pretty fast in a short amount of time. Williams opened up about her struggle with depression during the height of Destiny’s Child’s fame. During her early years in the group, Williams suffered in silence, not fully realizing what was going on. She eventually started to feel guilty for being depressed as someone with success is often ridiculed not to be. She said she even began experiencing suicidal thoughts and strives to be an advocate for artists struggling in silence. Elektra Records dropped Destiny’s Child. Before scoring a deal with Columbia Records in 1996, Destiny’s Child were briefly signed to Elektra Records. Back in the ’90s Elektra was the best place to be as it was the home to the hottest ’90s rap and R&B acts like Missy Elliott. However, in 1995, Elektra dropped the group from their roster claiming that they were “too young and underdeveloped.” Bet they’re kicking themselves over that stupid mistake! Kind of reminds you of the whole situation with The Beatles, huh? As the manager of Destiny’s Child, Mathew Knowles knew the potential of the group early on. Turns out, he came down pretty hard on the girls, drilling them into superstars, which may or may not have paid off. He reportedly made Beyoncé run a mile while singing, a form of exercise she allegedly still does today! While his training routines may have been beneficial for some, they also came with a price. LaTavia once recalled how Mathew made Kelly cry after a performance, shouting, “Where were you tonight, Kelly? I watched you mess up 12 dance steps.” Harsh!